In December 2015, Wasp Barcode Technologies, a provider of software solutions, conducted an anonymous online survey to gain a deeper understanding of small business owners’ perceptions of their confidence in the economy, employment, and growth. The State of Small Business Report includes data from 1,102 owners or managers of companies spanning a wide variety of industries employing five to 499 employees. 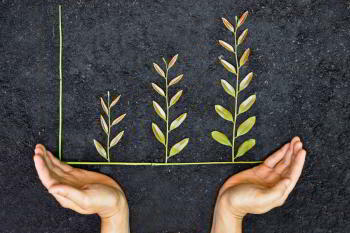 This year, the majority of small businesses are hopeful about their revenue growth, although a notable percentage anticipates modest growth. 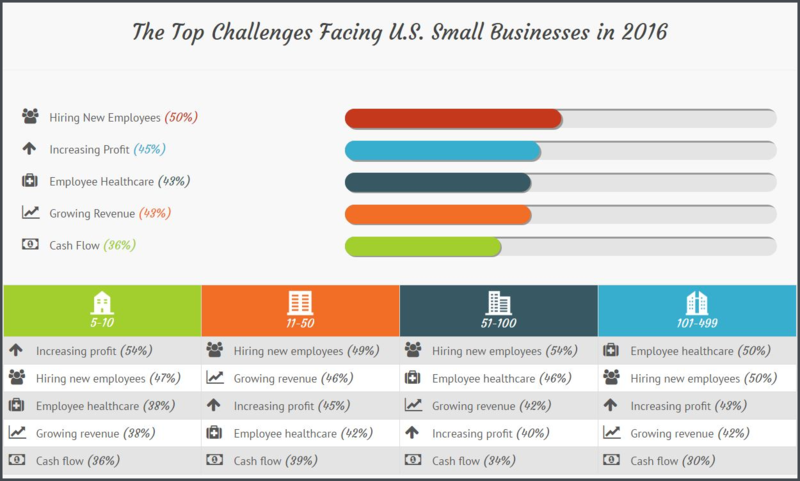 Overall, the top three challenges small business owners face are hiring new workers, increasing profits, and purchasing employee healthcare. While 30 percent of owners’ confidence in the economy remains the same as it was one year ago, 44 percent believe 2016 will present a stronger economy. Twenty-eight percent of small business owners have confidence that it will be slightly better in 2016, while 16 percent believe it will be significantly better. One percent of respondents were unsure, and one quarter of all respondents hold pessimistic views. Small businesses with five to 50 employees are more pessimistic about the economy than they were in 2015. The biggest hurdle small business owners believe they will confront in 2016 is hiring new employees; however, when broken down into four groups based on the size of the company, owners responded differently. For those with five to 10 employees, increasing their profits topped the list of challenges. Owners with 11 to 50 and 51 to 100 employees considered hiring new employees to be the most challenging, while those with 101 to 499 employees placed employee healthcare as their top concern. When compared to last year’s report, small business owners claim that employee healthcare and hiring will be a greater challenge for them in 2016. Investing in ways to attract new customers (28 percent). The report also provided a glimpse into the hiring trends for small businesses in 2016. Half of all small business owners plan to hire more workers this year; this is up from 38 percent last year. While 21 percent expect to bring on only one or two employees, 35 percent plan to hire three to five. Twenty-six percent of employers will seek six to 10 additional workers, and 16 percent will hire 11 or more employees. While there are certainly substantive challenges facing small business owners this year, there are also plenty of opportunities for growth. By offering a compelling benefits package, including health insurance, small business owners can recruit quality employees and increase employee retention, which will in turn boost revenue in the long run. What questions do you have? Let us know in the comments, and we'll get back to you.